This is the second in a series of three posts on the different types of super powers we all have. My definition of a super power: the ability to shape the life of others….for better or worse. This picture was taken a little over 3 years ago. Like all pictures, this photo tells a story. 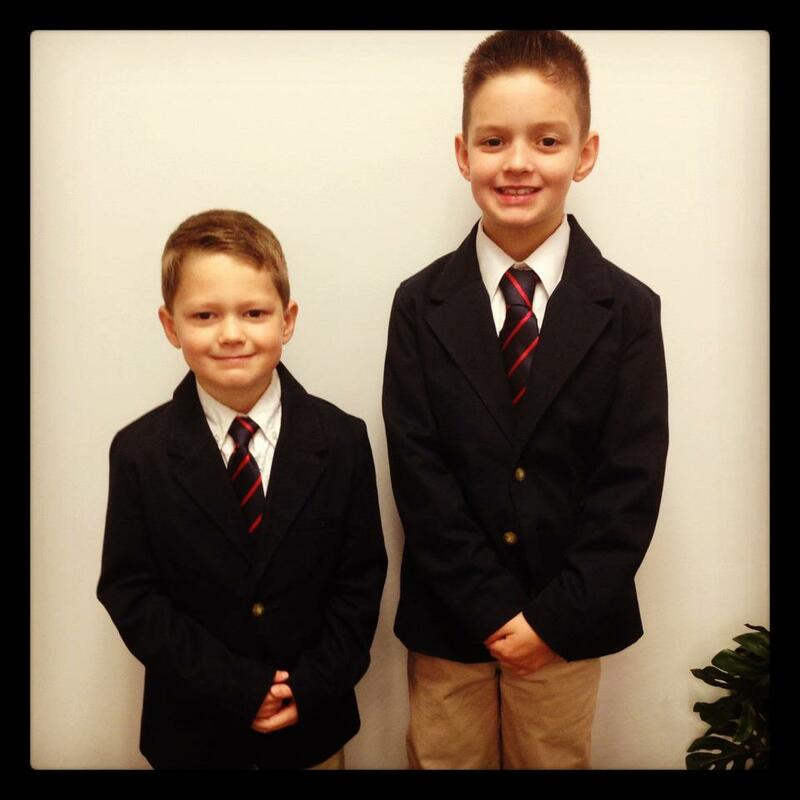 What you see in this picture is two boys dressed up for church. You see two boys who paused long enough for mom to snap a picture. Their hair is still somewhat combed and they have yet to spill anything on themselves….or others. What you don’t see in this photo is that they HAD to have those specific ties. They HAD to have a navy blue sports coat. They HAD to dress just like this…….why…..because that’s how daddy dressed for church on this day. As I look at this picture (and many others like it) I am not only reminded of how fast they grow but I am reminded of something even more urgent…..the power of my example. In his work, Lincoln on Leadership, Donald T. Phillips provides examples of leadership strategies used by one of our nation’s greatest presidents. Of all the guidelines, ideas, and generalities on Lincoln’s leadership, I find the simple concept of “Honest Abe” to be the most profound. President Lincoln was guided by his moral compass. He understood the power of his example would speak volumes to a nation in need. As a Father, Husband, Pastor, and Friend, I must remain aware that my personal example in speech, love, service, and faith will speak more to those in my life than any words written on a blog. As you look at those in your life, are you providing the right example? Does your example shape the life of others for better or for worse? I’m not perfect. Neither are my family or friends. Mistakes will be made and sin will be encountered. Even then, the offer of repentance and the gift of forgiveness will demonstrate the greatest example of all…..grace. Great post! I’m and convicted and motivated at the same time! I can’t wait for the next post in this series.